This level have normal difficulty and you need to break jellies with timer bomb. For this level first try to break all timer bomb as soon as possible. 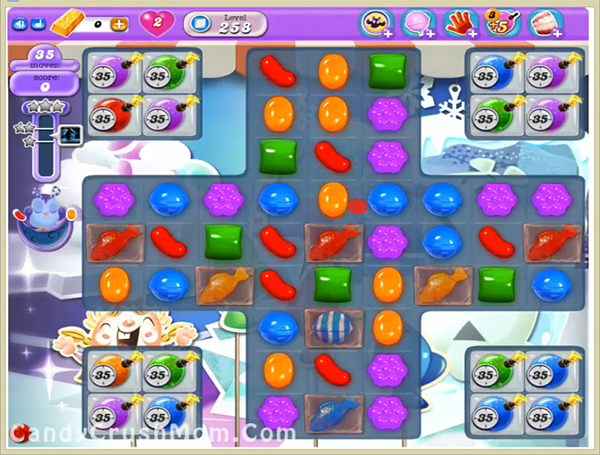 Then try to use special candies or other trick to break jellies to complete this level. You might need striped candy plus colorbomb combo to reach requirement easily. We completed this level with 79080 score using special candies and fish to break jellies and timer bomb plus got just single star score.